This is the third post by Emily Puckart on “Maternal Health Challenges in Kenya: What New Research Shows.” Read the first and the second. Integration is a word I hear quite often in the maternal health field and a word I heard discussed many times at the recent Nairobi/Washington DC policy dialogue “Maternal Health Challenges in Kenya: What New Research Shows.” Integration in maternal health typically suggests coupling maternal health services with family planning, sexually transmitted infections testing, HIV/AIDS services and other closely linked services and programs. Integration is often advocated for by maternal health advocates, researchers, and policy makers versus the more traditional package of vertical service programming. Too often traditional health planning uses a method of separate government departments, separate funding, separate service components, separate trainings, and separate guidelines, all of which can lead to disconnected heath services for women seeking care. If women have to spend extra time navigating separate services it seems women would be more unlikely to access or have access to vital health care. Indeed, on a policy and advocacy level integration makes sense, and at a basic level seems intuitive. It seems natural that women should benefit from integrated services that provide one package of reproductive health, child health, and PMTCT services all in one place. Ideally, integration could lead to more effective healthcare and more satisfied women as all of their health needs can be met together. In policy memos and long term government plans the idea of service integration makes sense; but how can it best be carried out in practice? 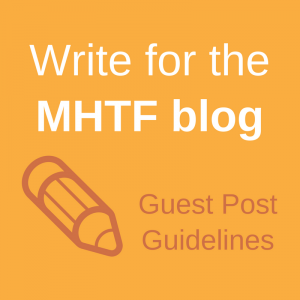 Interested in this question, the MHTF is sponsoring a project at CEDPA India where researchers are reviewing HIV/Maternal Health integration by looking at best practices of successful program integration. One of their findings is that despite national policies on integration, most programs are not being integrated. The disjointed connection between the push for integration in maternal health policy, and actual implementation of program and service integration was discussed during the meeting in Nairobi. Participants expressed concern that the push for integration was increasing the burden on already overworked community health workers. There was concern that sometimes integrating programs and services can mean that community health workers or underfunded and undersupplied clinics, that already must shoulder the burden of frontline care and health education, must take on additional services that they are ill-prepared to deliver. Participants in Nairobi suggested that the question isn’t if integration is worthwhile, but how can integration be carried out practically in the field. 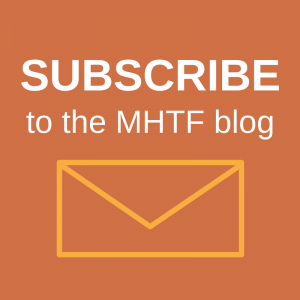 Some of the MHTF’s projects are looking at integration of services in maternal health in new ways. MHTF supported organizations, like Jacaranda Health, are working to integrate important healthcare services for women in new and innovate ways. As organizations like Jacaranda Health grow and expand, perhaps the maternal health field can better understand how successful service and program integration can be carried out on the ground thereby improving the health and lives of women.